They have been round for centuries and most have one in our pocket or purse at some time or another. The ubiquitous door key has been the staple way of locking and unlocking the entries to our homes for longer than most of us can remember. But could new technology be about to make the much loved door key a thing of the past? Many people are now opting for electronic locks and using a keypads or smart devices to gain entry to a home, office or room. Hotels have been using cards for some while now and businesses generally opt for the better security of having a keypad entrance. For some while, smart locks have been taking over, replacing manual key and lock door systems. 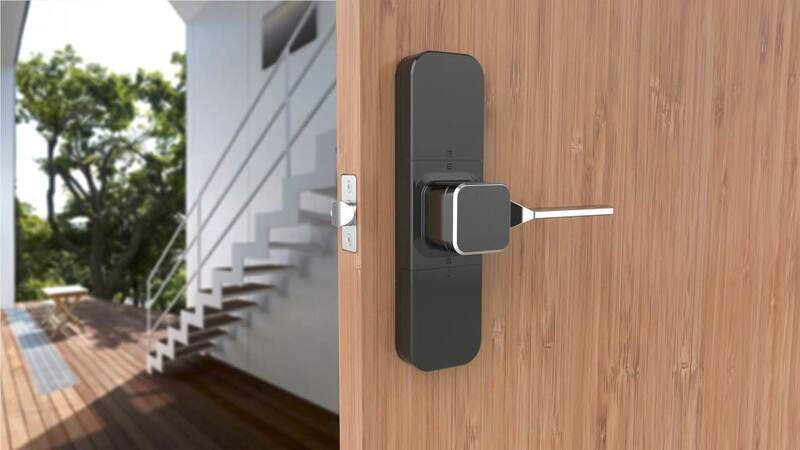 How about a lock that senses your presence through a Bluetooth connection from your mobile phone? Or maybe you want something with more functionality that links to Wi-Fi and delivers the ability to check if your door is actually locked where ever you are on the planet? There’s no doubt that, if you are going to get a new door fitted in the near future, you are going to have a lot more options to choose from. This tech is not only going to link into things like your smartphone but is going to extend to areas such as cars, work and even some shops that like a better class of customer. It’s all part of the world becoming more interconnected, the Internet of Things where everything has a Wi-Fi or Bluetooth connection to everything else. There’s no worry either if you suddenly find you lose your phone as you can easily revoke that particular device’s authorization and transfer it to a new one, much easier than having to change the whole lock with an old fashioned door key. With plenty more options on the market, major companies such as Google are also getting in on the act, much of it driven by the concept of the Internet of Things where technology aids us in practically all aspects of our lives. Imagine a device that not only opens and locks your front door, windows and garage but one that can also control your heating systems, turn on lights and even operate cooking appliances. Are smart keys for doors as secure as people make out? What’s really wrong with the old fashioned metal key anyway? Being more advanced, smart locks have a host of different benefits that can help make your home or business a lot more secure, not least in monitoring access to your premises and informing you of any problems. Normal keys can be lost or copied, locks snapped, whilst smart keys use the latest encryption that should give you much more security. Of course, there are going to be doubters out there. Over the next ten to twenty years though, when you have a new door installed on your property, the likelihood is that it will come with a state of the art Wi-Fi enabled smartphone locking system. In the end, we’re all going to be connected in new and innovative ways whether we like it or not. ← Is it Time for Your Listed Building to Have Proper Windows?